Tarot Party brings the ancient art of Fortune Telling into the 21st Century! Whether you are looking for a great alternative night in with friends, a way of attracting more customers to a venue or trade stand, or unusual entertainment for a party, Tarot Party can provide it! 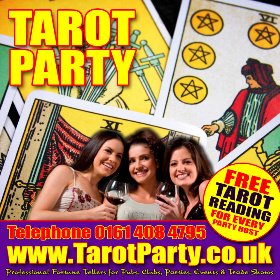 We specialise in providing Professional Tarot Readers, Palmists & Rune Interpreters for House Parties in Manchester & West Yorkshire. A Tarot Party can be a fun and affordable alternative to lingerie & food storage parties… and best of all, in return for organising the evening, the host / hostess receives a free reading! 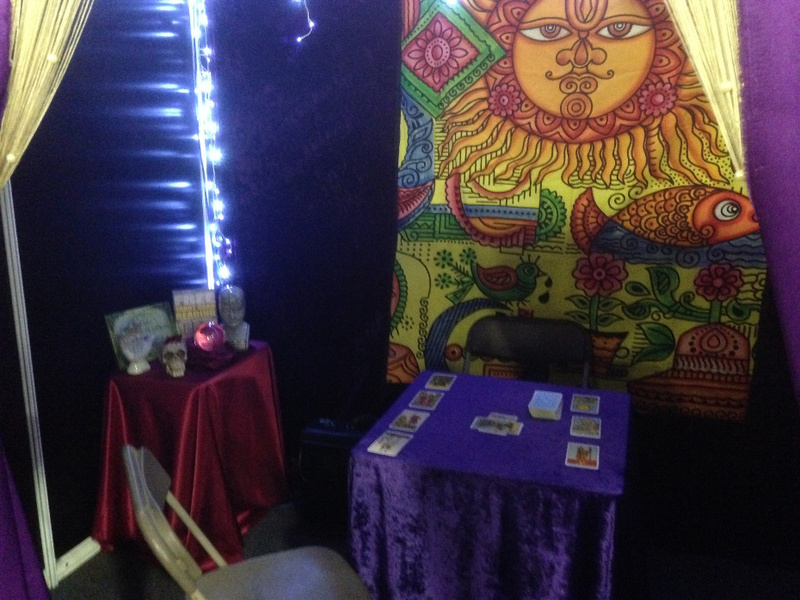 Whether your organisation is looking for something unusual to attract potential clients to your stand at a Trade Show, holding a Corporate Dinner or wanting to entertain customers at a Store Opening, Product Launch etc, our Professional Tarot Readers and Palmists can help create a day to be remembered. We are always interested to hear from organisers of Psychic Fairs, Street Festivals, Open Days, Markets, Charity Events, Wedding Fayres etc. Contact our team today to find out what we can offer your event! Having a Fortune Teller at your wedding reception can be a great way to entertain your guests whilst you spend some time having those extra special photographs taken after the ceremony.